I know I skipped the Friday PhotoEssay last week, so the photos may be from last week or this week. The Swiss Chard and some purple carrots before they were made into Salad. The strawberries are up to more shenanigans…this time they are trying to jump the fence from their bed into the walkway. Silly strawberries! 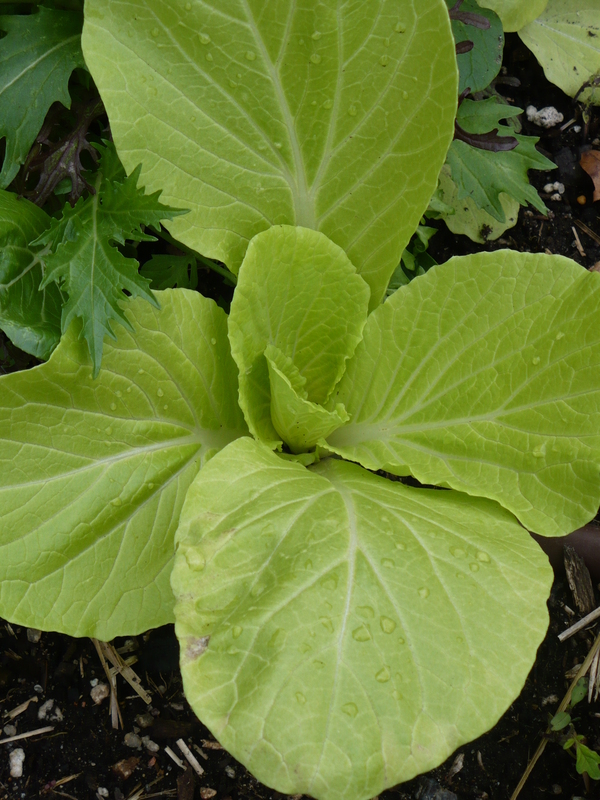 One of the salad mixes in the Family of 4 Garden had this beautiful Golden Bok Choy. Yep, you guessed right! It was in the salad this week too! 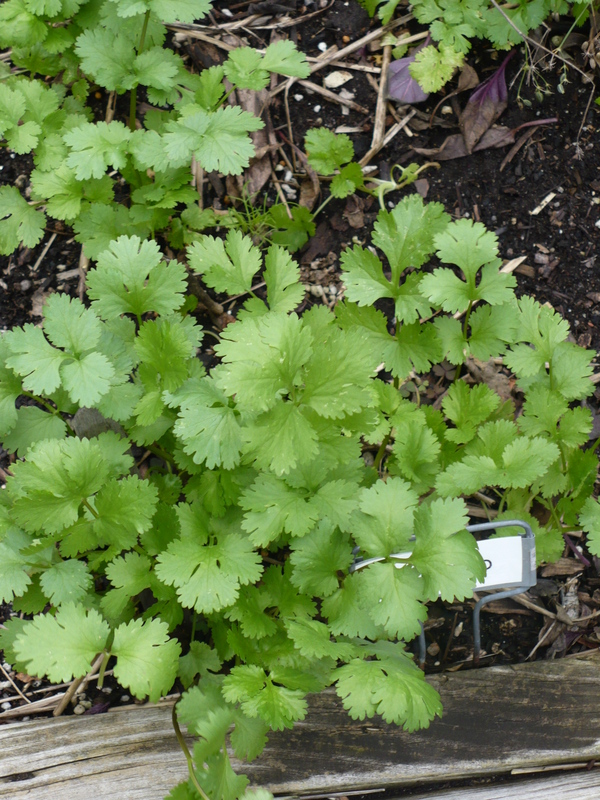 For some reason the cilantro in the Family of 4 Garden has been slow. I know it was old seed, and I think the Brussels Sprouts, etc have been shading it. Still…I expected it to grow faster. 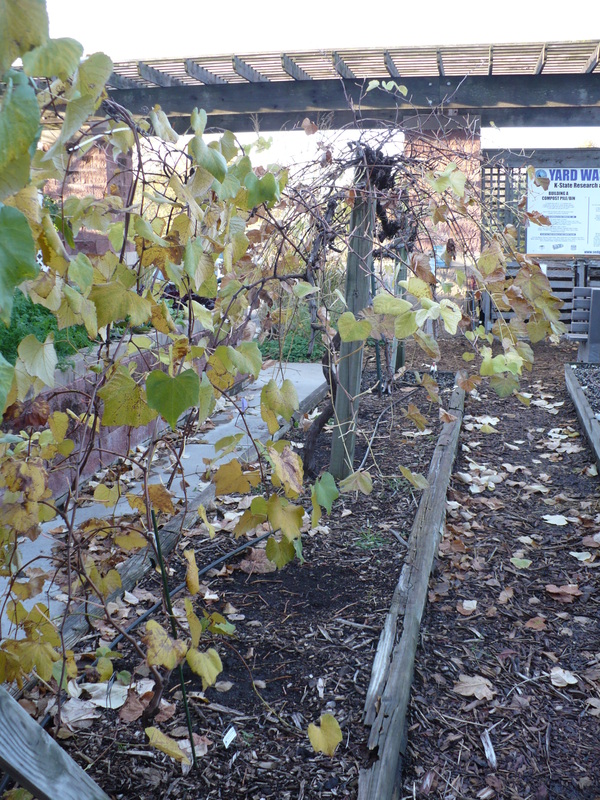 The grape leaves have been a nice yellow-gold color, and they are now falling quickly. I think they are ready for winter! The Last Tomato. Sitting where it fell when we pulled the vines out a couple weeks ago. 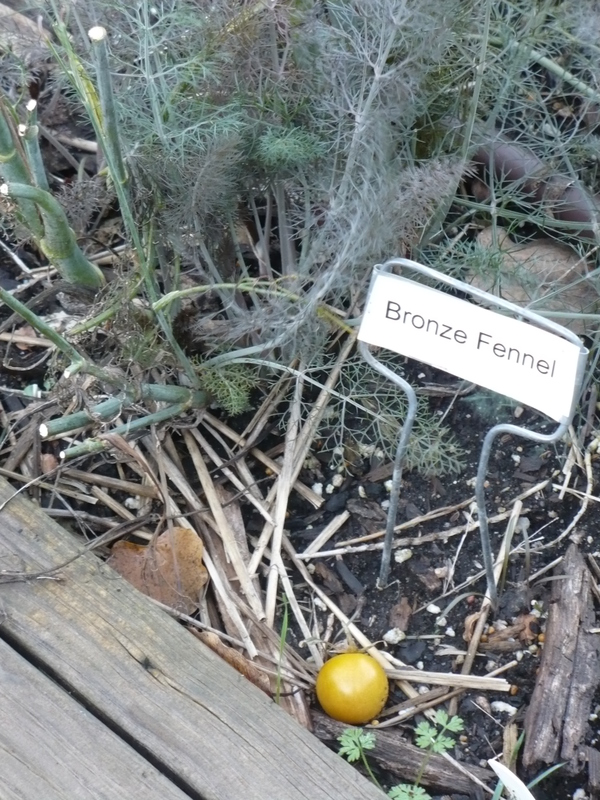 The bronze fennel that we cut back is looking good too! Yes, the Swiss Chard is still going strong! We had the 2 bunches from Tuesday to use, and I decided to find a tasty, simple salad recipe to try for Master Gardener Basic Training today. I did find and make a recipe, but unfortunately I was delinquent in my picture taking, so you’ll have to go to the sources to see a picture. 2-3 oz. of crumbled blue cheese. 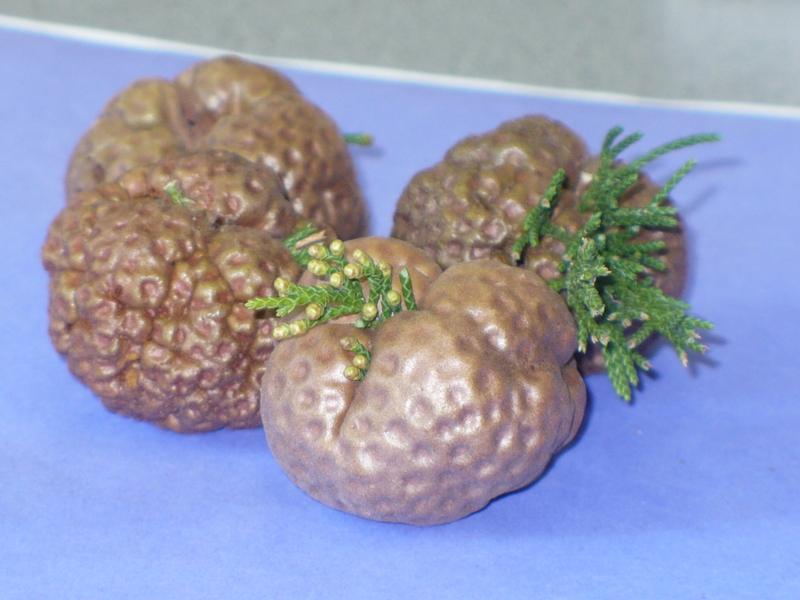 These are Cedar Apple Rust galls that I’ve found growing on the cedar trees as I’m out walking during lunch. They look like coppery balls right now. Come next spring, they will look like this. Well, we did have our first frost last night, although I’m not sure the temperatures actually got down to below freezing. Ah well. The cannas and few remaining annual flowers are gone, leaving huge mounds by the compost bins. 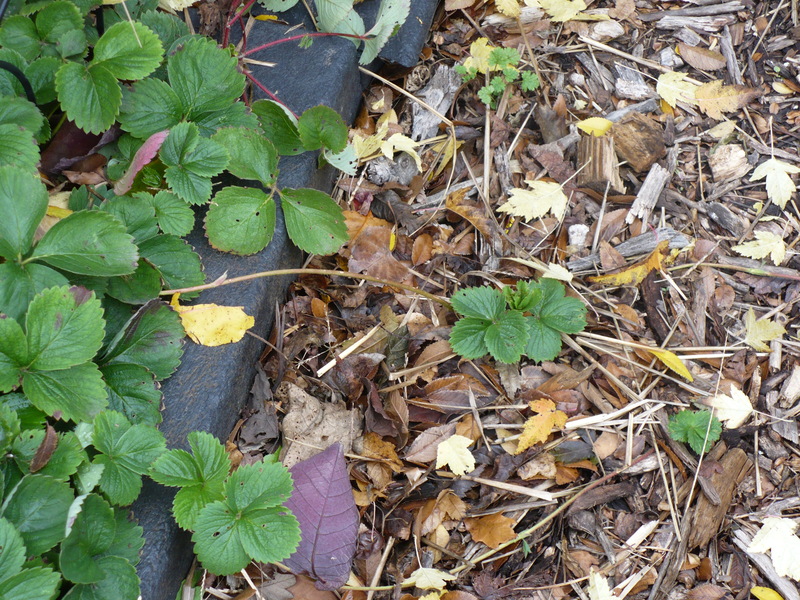 The fruit are still in place, waiting the go dormant, and the fall vegetables are still growing quite contentedly. We harvested a whole bunch of salad greens this week, using the “cut and come again” method. 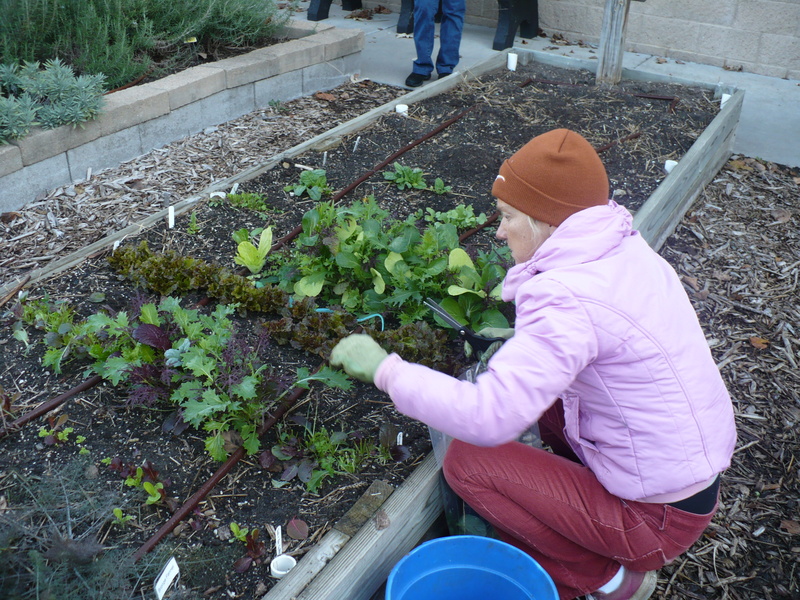 Basically, we cut all the leaves off each row of salad mix or lettuce about an inch from the soil level. The plants will keep putting up new leaves until it gets too cold. 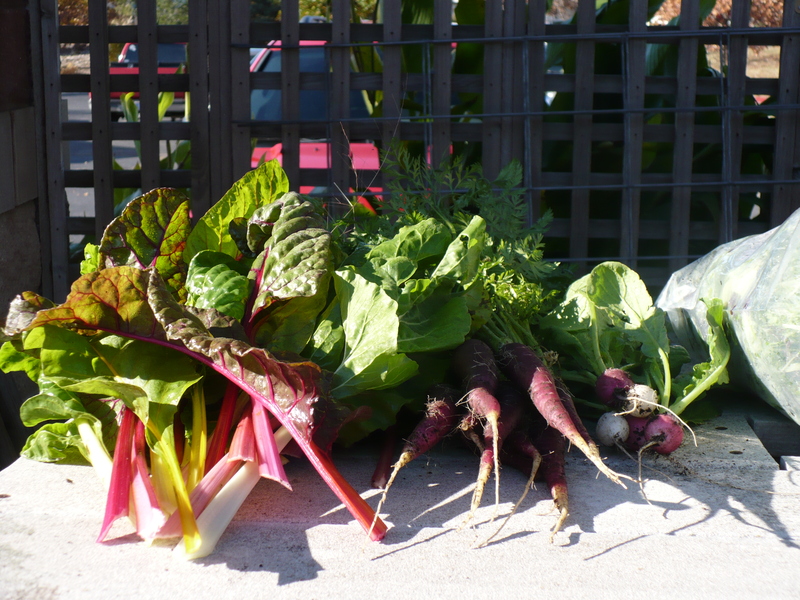 We harvested 24 oz of baby salad mix from the Family of 4 Garden today, as well as 2 bunches of Swiss Chard. I know, I know…it just won’t quit coming! Can I remind you again to go take our garden polls? Thanks! 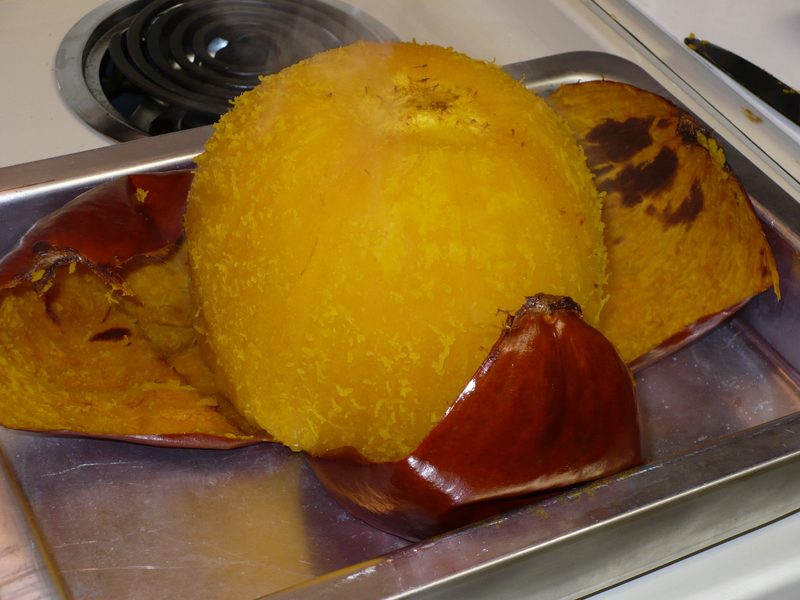 I found this really simple recipe for roasting a whole pumpkin, and decided to try it out. Basically, wash your pumpkin, rub it with oil, then put it in the oven for about 1-1 1/2 hours at 400 degrees. 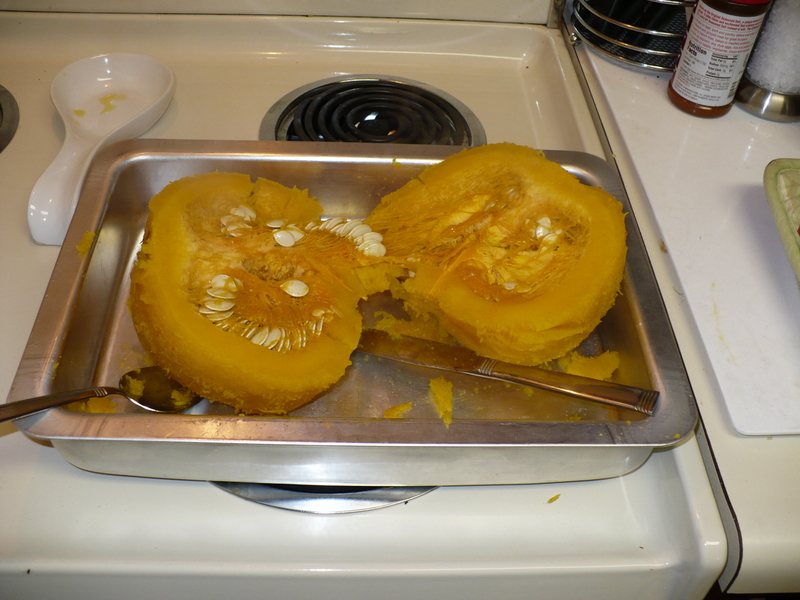 Here’s the pumpkin after roasting. The peel literally fell right off with a little encouragement. I scooped all the seeds out and rinsed them, then cleaned off the pulp. I roasted them with butter, salt, garlic powder, and cayenne pepper. Yum! 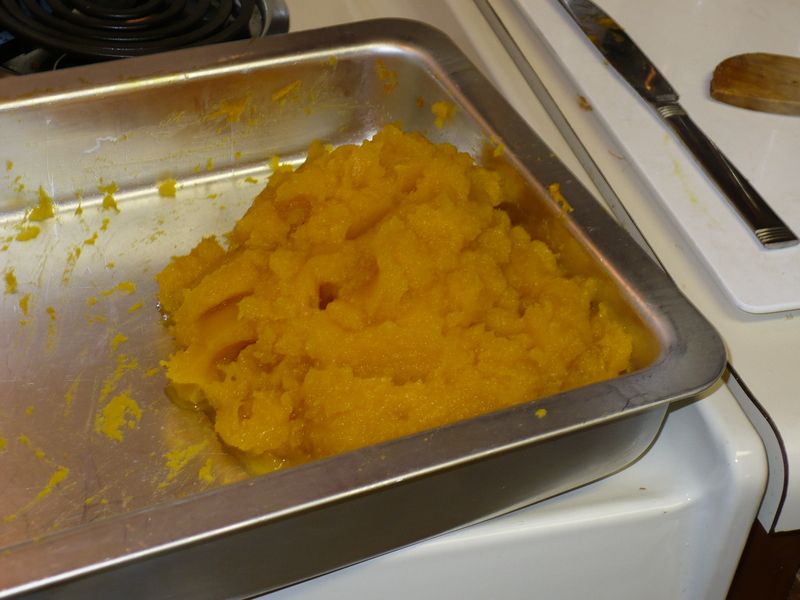 Here’s the mashed pumpkin. I smashed it with a spoon, the ran it through our little food processor. We ended up with enough pumpkin to equal 2 15-oz cans of canned pumpkin plus a little leftover. We ate the leftover for dinner, and I even ate it without any additional seasoning. Yum!